Nowadays people know the value of rain how rain is important to each and everyone but somewhere in their busy life they have forgotten to enjoy it. There are some places in Rajasthan which look beautiful in rainy season. Udaipur –Best time to visit Udaipur is in the rainy season. After suffering from the heat of summer the rain is the thing which gives relaxation. The greenery of Udaipur the lakes of Udaipur are mesmerizing in the rainy season. Any udaipurite will love to watch the overflow level of Fathe Sagar Lake in monsoon. You can see the meeting of mountains and clouds in Udaipur only in this beautiful rainy season. 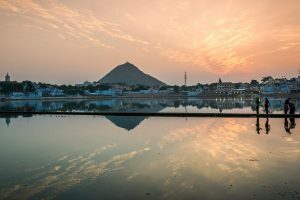 Pushkar – This is another city of Rajasthan which looks amazing during the rainy season. 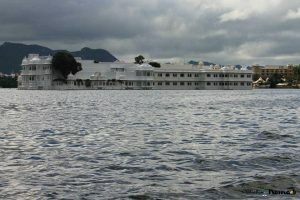 The Pushkar lake is the place which is watchable in rain. The mystic land pleasantly nestled in between the 3 hills. 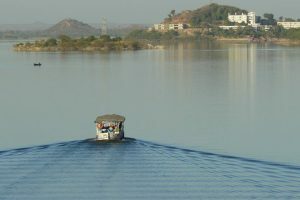 The Pushkar lake is at its peak of beauty in the rainy season. 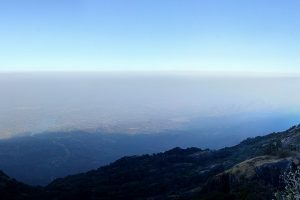 Mount Abu– It is a popular and only hill station of Rajasthan which is situated in the Aravali Range in Sirohi district of Rajasthan. In Rajasthan, this place is all about greenery and beautiful views. The Guru Shikhar of Mount Abu is a great place for taking pictures in monsoon and also for a visit. The smell of rain will make you feel delightful. 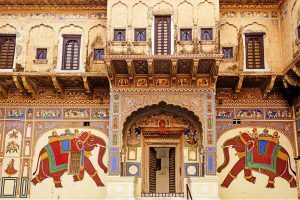 Kuchaman:- Kuchaman is the hidden destination of Rajasthan. Kuchaman has a lot of beautiful views especially in monsoon season this beautiful destination will make you fall in love with rain by its greenery. If you ever visited Rajasthan and not seen this beautiful place then it is the worthless visit of this state. Mahansar – Mahansar is a village in Jhunjunu district of Rajasthan. This place is known for its sightseeing views. It is an isolated area. In monsoon season this place offers rural character of the area. Visitors arrive here to feel the coolness of temperature in rainy season after suffering from the heat of summer. Sajjangarh Palace Udaipur – This place is known as monsoon palace which is situated in Udaipur. This place is the best place to visit in monsoon season for enjoying rainfall. It was built for watching the beautiful views of rain. 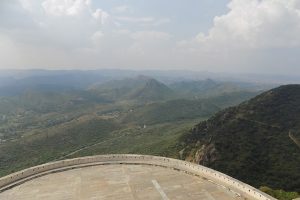 Previously it was owned by the Mewar royal family but now it is under control of the forest department of the Government of Rajasthan and has been opened to the public. This is the best place to visit in Rajasthan for enjoying rainy season. 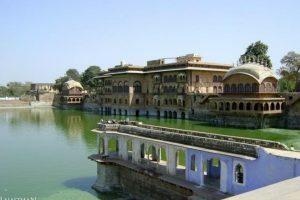 Jaisamand Lake – This lake is not a natural lake. It is an artificial lake. Which was created in 17th century by the Rana Jai Singh Mewar. This lake contains 3 islands in its water premises. In monsoon season this lake explores its beauty in various ways. 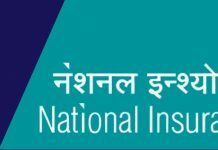 Narlai– It is located midway between Udaipur and Jodhpur you can say that it is situated in the heart of beautiful Aravali hills. It shows the beautiful side of rural Rajasthan which looks amazing in monsoon. Generally, it is full of tourists in monsoon season because in this place you can see how a dry state looks beautiful in monsoon. 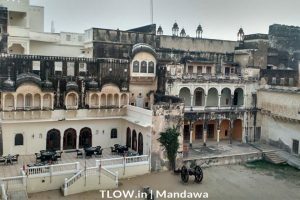 Mandawa – If you ever visited Rajasthan and not seen this place than you surely missed the best one because you can see the beautiful greenery and hills together at this place. You can actually feel and enjoy rain at this place. 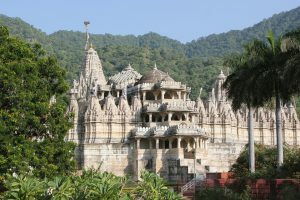 Ranakpur – This is the place which combines spirituality and tourism. 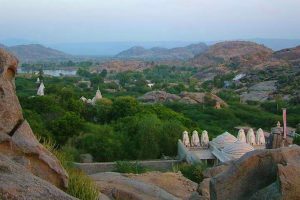 And if you want to see the actual charm of Aravalli range you should once visit this place. Especially in monsoon season, you would love to see this place. And most important thing selfie lovers will also love to visit this place. Next articleWhy Wedding Venues In Rajasthan Had Been So Popular Till Now?